In last week’s tutorial we used the canvas control to make a character’s eyes follow the mouse. This week Nelly the elephant is back again. This time we will add some animations and use a texture atlas. Each the location and size of each image is stored as well as an “offset”. 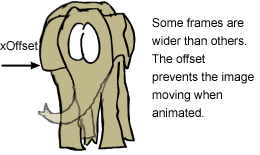 The offset is used to “pad out” each frame, without wasting any space. We create an AtlasImage object for each image and store it in an map, with the image name as a key. 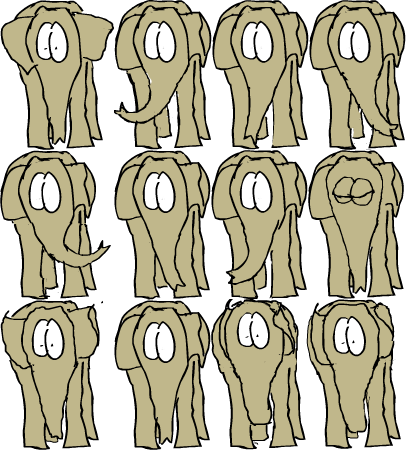 Note: sometimes we use the same images several times in the same animation to save space. 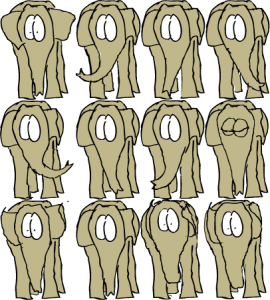 For some animation we don't want the eyes to move, because the head moves in the animation. For these cases we set m_moveEyes = false. That's all. Full source code can be found here.